Customers Can Evaluate Oracle Exalytics And Conduct Proofs-of-Concept Inside "The KPI Exalytics Lab"
KPI has created the KPI Partners Exalytics Lab in their California headquarters that can easily be used by customers and Oracle Sales Representatives to evaluate the extreme performance product. The KPI Exalytics Lab deploys your data and dashboards on our servers and gives you the ability to see the benefits of moving to the Exalytics platform. 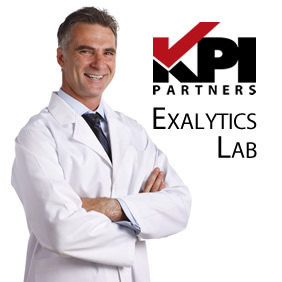 About "The KPI Exalytics Lab"
A proof-of-concept can be completed in as few as 3 weeks. Our key mission is to ensure organizations are successful in choosing and deploying the most appropriate complimentary technology solutions to meet their business challenges. We achieve this by showcasing Oracle Exalytics and joint technologies. At "The Lab", customers collaborate with KPI specialists to focus on specific areas to provide proof-points to reinforce the performance optimization message. In "The Lab", KPI customers can also see their ideas implemented as working prototypes running on an Oracle Exalytics system. Technical or business presentations and discussions can also be significantly enhanced. The KPI Partners Exalytics Lab offers state-of-the-art systems, software, and expertise to support the customer's solution development requirements. KPI experts work with customers to prototype their solution architectures and prove those solutions will work in realistic scenarios on real-world systems.